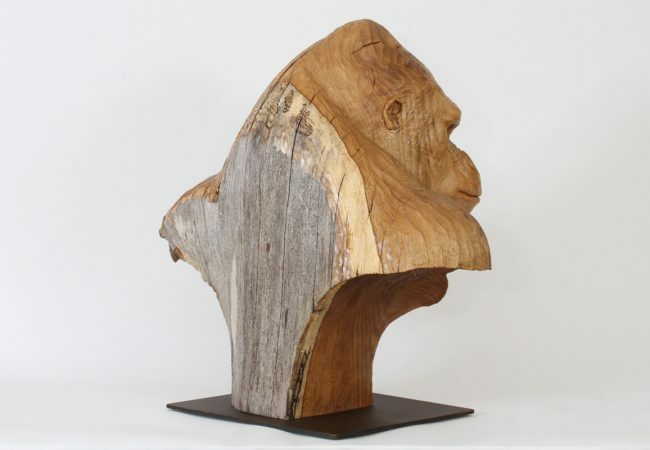 Silverback. 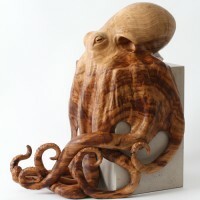 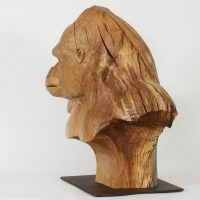 Oak sculpture by wildlife artist, Bill Prickett. 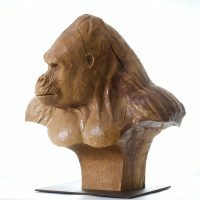 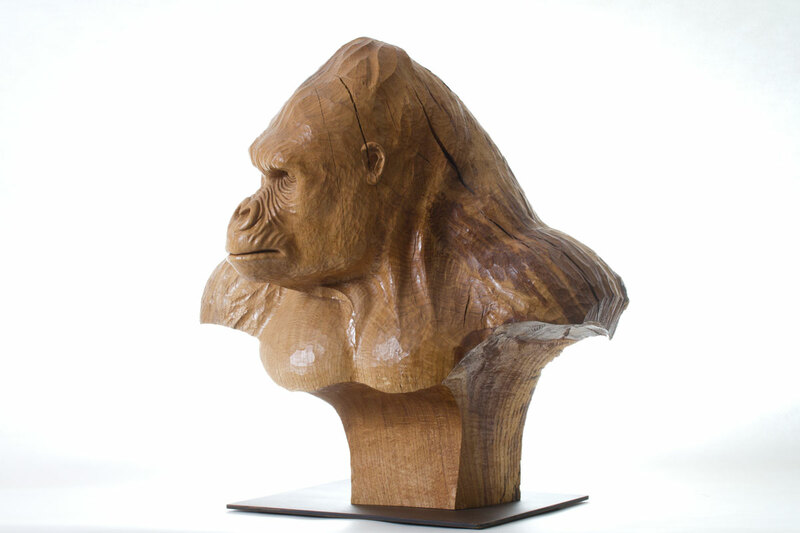 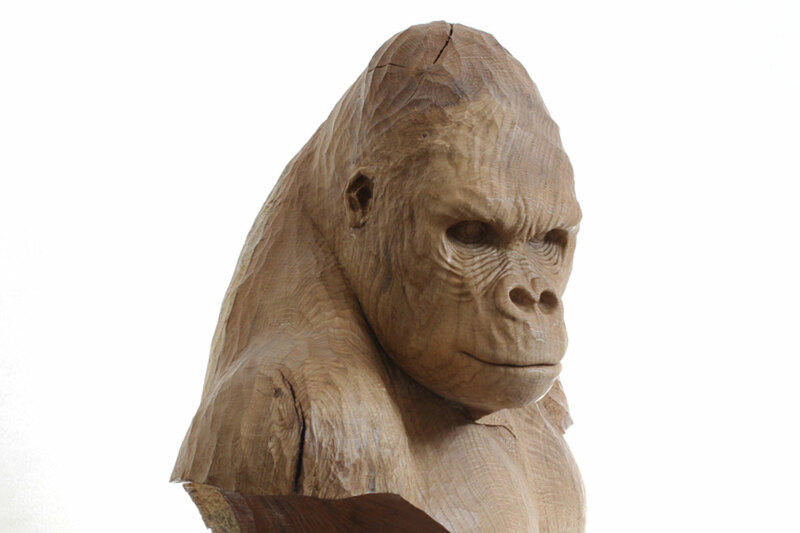 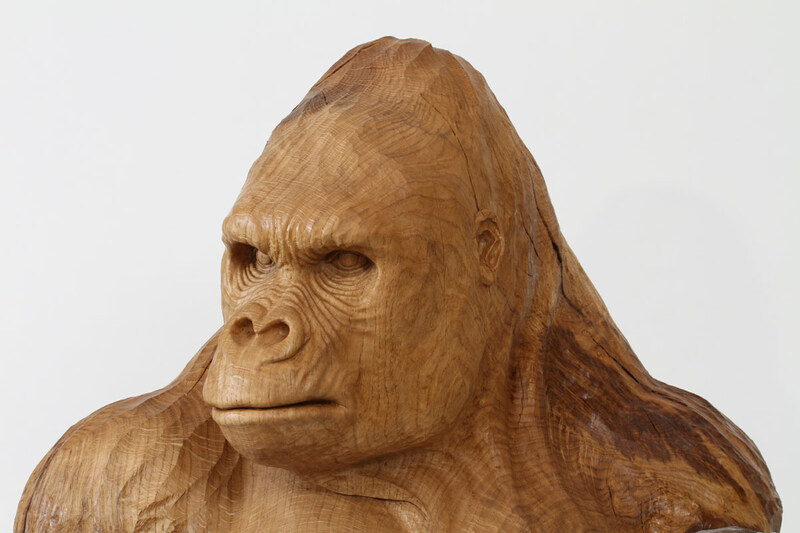 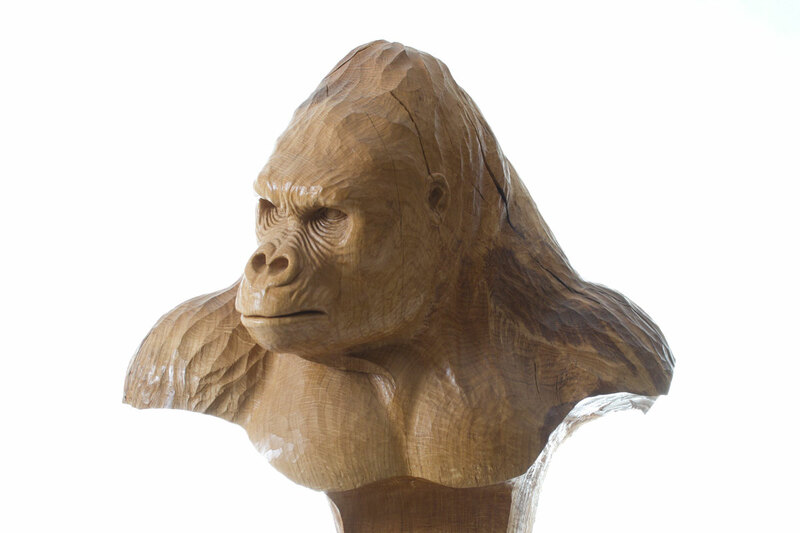 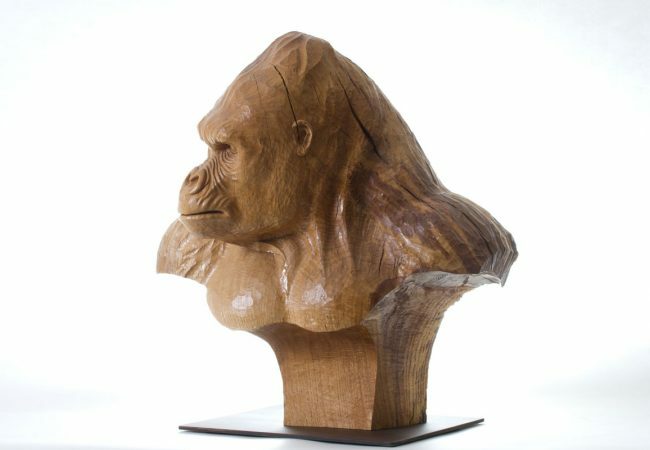 Bills sculpture “Silverback” is hand carved from a large, single piece of English oak and stands approximately 54 cm in height. 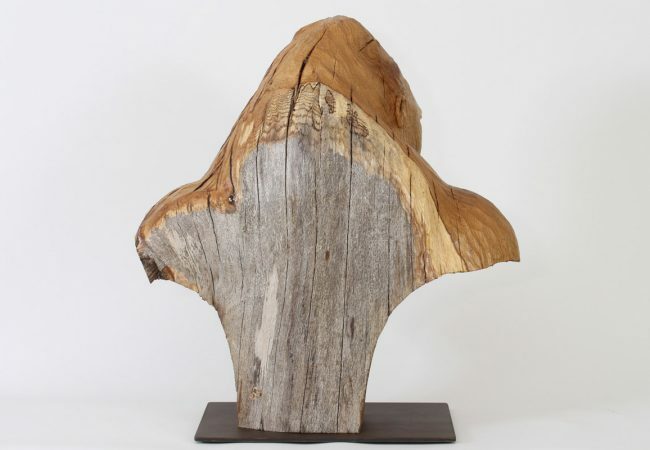 This sculpture makes a feature of the natural, weathered nature of a fallen tree that has been exposed to the British elements for a number of years. 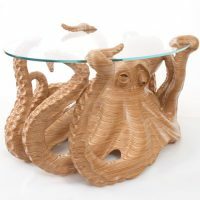 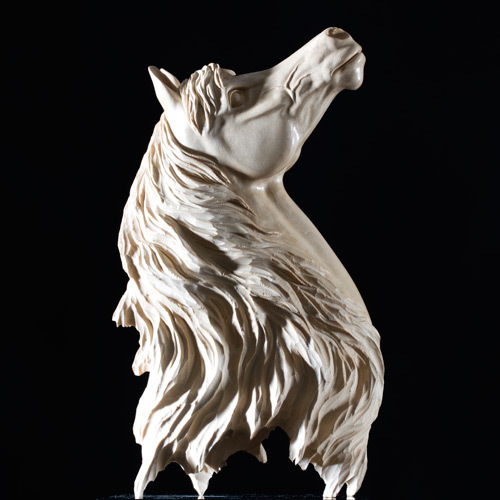 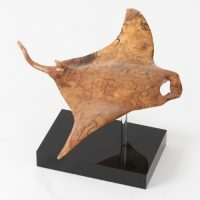 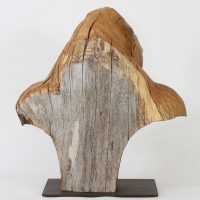 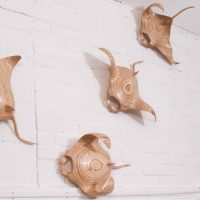 These features include the beautiful “silver” sun bleached outer layer of sapwood (that inspired the piece in the first place), that has been left untouched, as well as the gnarly splits and fissures which add power to the finished sculpture. 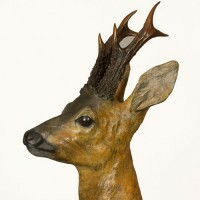 The base is made from patinated 1/4 inch steel plate. 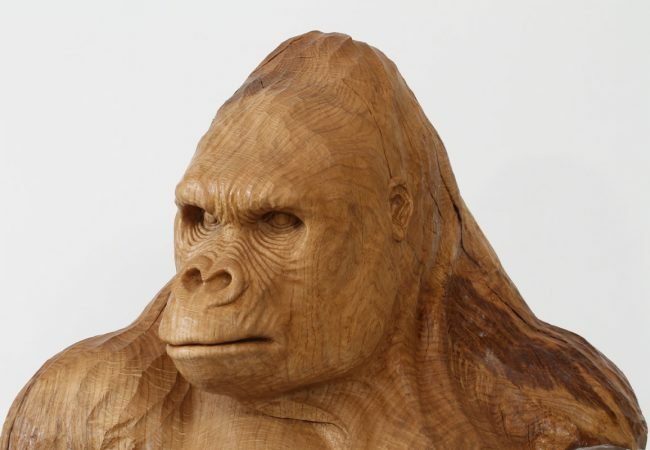 Please note: Further development of the adopted natural features such as splits in the wood is a possibility depending on the environmental conditions of this sculptures display setting. 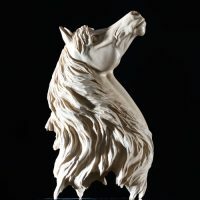 You can read more about this carving and the process involved below and in Bill’s blog. 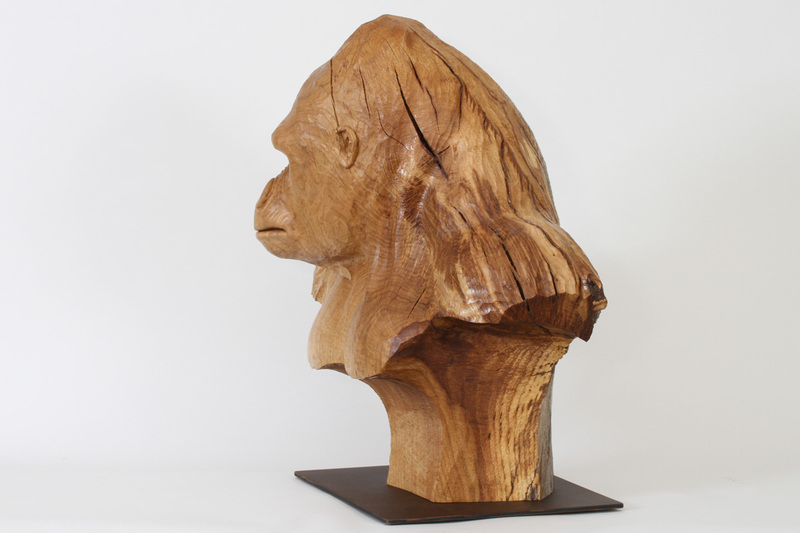 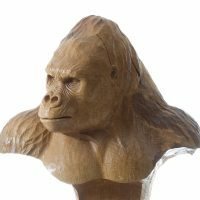 “I have been wanting to carve a gorilla bust for some time now. 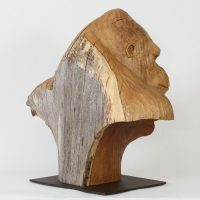 In fact, ever since spending time in Congo (nearly 30 years ago) and getting very close to the lowland gorillas that try to live in the rain forest there – I’ve just been waiting for the right piece of wood to present itself to me. Then, around 5 or 6 years ago, one of the large oak trees growing near to my studio, was struck by lightning, split in half and fell over. 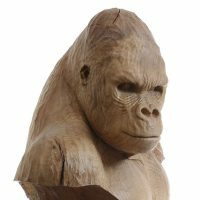 There it has rested, being exposed to the full spectrum of the British weather, until early in 2018. It was then that I noticed that the surface of the oak, after the bark had fallen away, had been bleached to a wonderful silver colour. 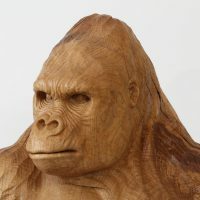 That, and the contours of one particular area of the trunk was all the inspiration I needed to design and carve “Silverback” as soon as I got the opportunity.” You can read more about this carving and the process involved in Bill’s blog.